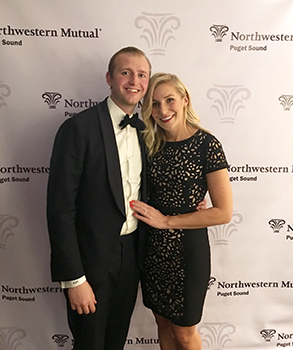 Conner began his career as a Northwestern Mutual college intern in 2010 while earning a double major in Economics and Business Leadership at the University of Puget Sound, where he also played 4 years of collegiate basketball. He and his wife, Natalie, began 2019 by welcoming their first daughter, Georgia, to the Gehring family. The three of them live in Kirkland and have settled into the Pacific Northwest for the long haul. During his spare time, Conner enjoys spending time with his family & friends, golfing, and traveling.